This year is the 21st edition of the Comocrea Interni exhibition, dedicated to the design for home furnishing. 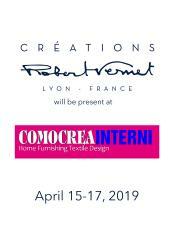 Comocrea Interni is the perfect opportunity to discover the pioneering market trends created by Créations Robert Vernet. Blueprint is a special show with a fun and friendly atmosphere. 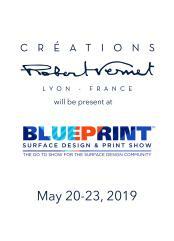 Come to discover Créations Robert Vernet’s latest collections in a relaxed and inspiring environment.